Isn’t this card a standout, ‘look at me, I’m fabulous’ kind of card with the power of Melon Mambo and that thick rich black ink? I really wanted the card to be all about the colour, but felt that the black needed to be very very black (there is such a thing! ), so I used my Stamparatus to stamp the phrase 3 times over in Black Stazon. Really really black! I’m all about using my somewhat neglected DSP stacks in the colour families (you’ll have seen them popping up in various cards recently) and today I have the spotty Melon Mambo peeping out. 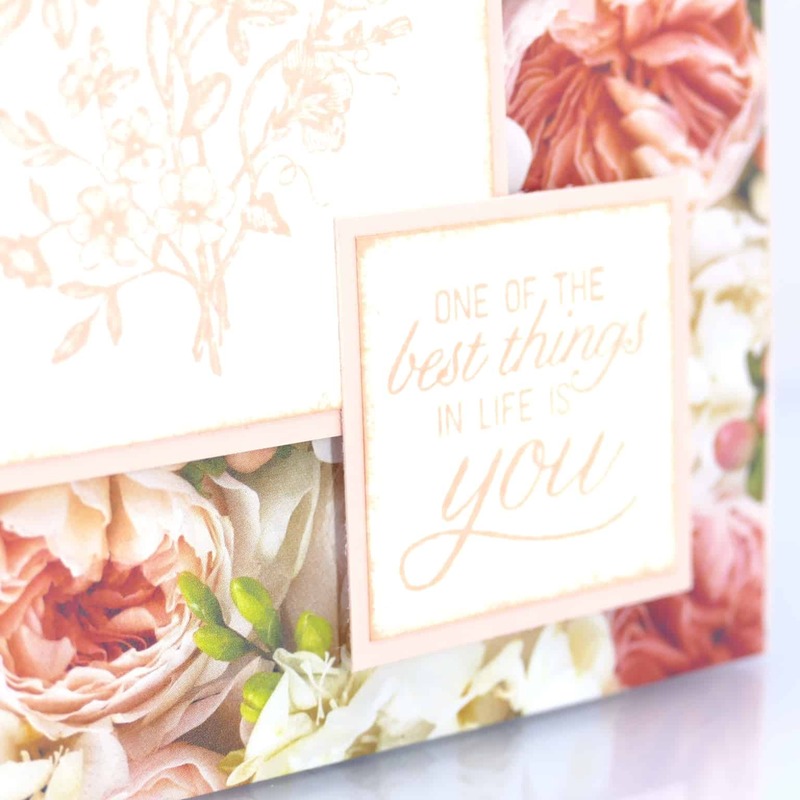 I love the look, but also love the look of stamping my own backgrounds, so like Monday, I did the same, but this time I went tone on tone with the flower stamp from the set, and then repeated the stamping in the 4 corners of the main panel. The flowers are so stylish on their own, but I used my go-to technique of bleeding the colour with Wink of Stella. I loved the look so much that I decided to pick up a little more Melon Mambo ink to colour in the Happy with the glittery shimmer. So cute! Now, if you’re not a pink fan, which colour would you create this card in? 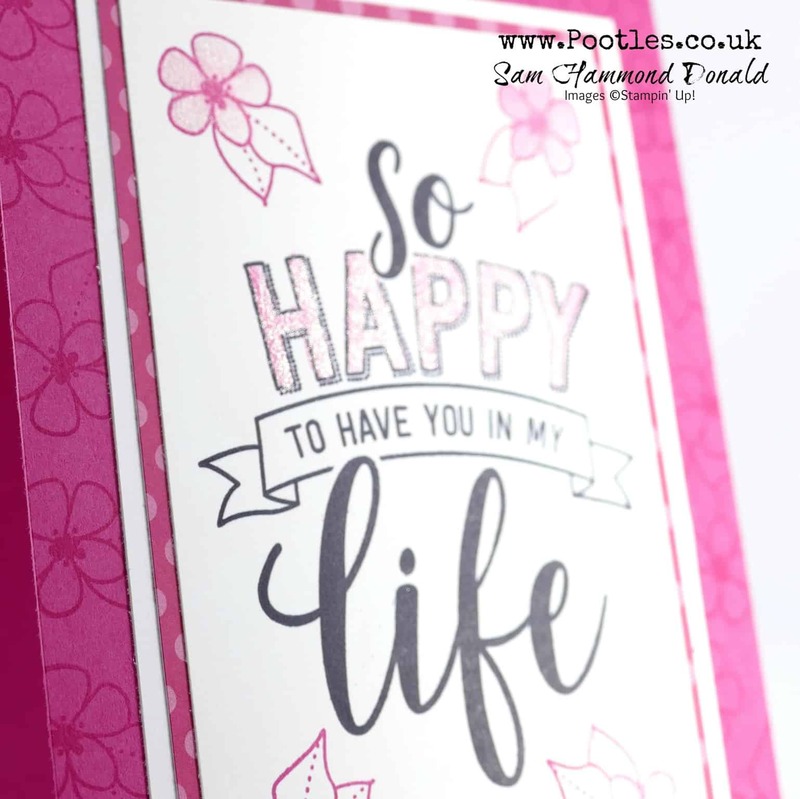 « Humming Along Watercoloured Splat, Sploosh, Spritz Card!